Mahatma Gandhi National Rural Employment Guarantee is facing. 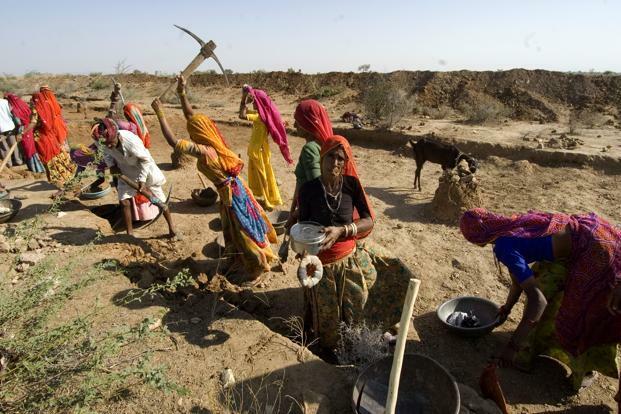 On January 1 st 2019, over 99% of MGNREGA funds had been exhausted and the acute funds crunch had brought the program close to a halt. persistent attacks by vested interests and power elites at all levels. the letter were widely covered by the media..
After the meeting the letter was circulated more widely and has now garnered the support of a total of 250 parliamentarians and eminent citizens. The letter states- “we are alarmed to note that the country’s only employment guarantee is being systematically undermined. Illegal restrictions on its budget allocation, severe payment delays and low wages are crippling the program and depriving people in distress of one of their most important legally supported structures”. MoRD’s website. Even with these additional funds, 91% of the money has already been utilized and after the payment of liabilities, state governments will not be able to provide any new employment reinstating status quo. Given that the lean agricultural season has begun, demand for work will be at its peak but the government will once again fail the rural poor by denying employment to those who need it the most, when they need it most.